Changing the page source code: use this option if you can, it is the most efficient. Adding the script without changing the page source code: if you don't have access to your page source code, don't panic! Kameleoon has a solution for you. When the pop-in opens or when the visitor clicks on the "Add to the basket" button for instance. 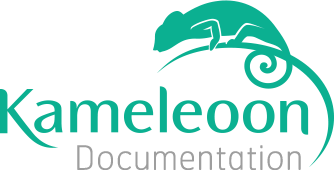 If you cannot change the source code of your page, Kameleoon offers a solution allowing you to add a personalized script on the fly. This script will run after each call of Kameleoon script on your pages. To do this, login to your personal space and use the left menu to go to the "Configured sites" page. Click on the "Configuration" button under the name of the website for which you want to create the A/B test. Click on the "General" tab and add your script on the "Global custom script" box. Kameleoon.API.triggerEvent("KAM_POPUP_OPENED"); // The name of the event must be placed on the same level as the targeting configuration pop-up. You can also add your script from the editor. To do so, click on the cogwheel on the top left of the header. When you launch your test, in the "Test finalizer" window, choose to run the test on "Specific advanced segment" to open the advanced targeting window. If you have already created your segment, click on "A template segment" to select it. In the "Technical" par, select the "Custom event" criterion.